I built Paraview with Module_vtkRenderingOptiX Enabled. Everything seems to have compiled properly. However I don’t have the “Enable OPTIX” option in the View section. The required ParaView level changes are not in master. A branch that exposes it is here: https://gitlab.kitware.com/demarle/paraview/tree/WIP-expose-OptiX. I don’t know where the NVIDIA guys keep their development branch. @knolla - welcome to discourse, the new ParaView mailing list. This discussion is up your alley. 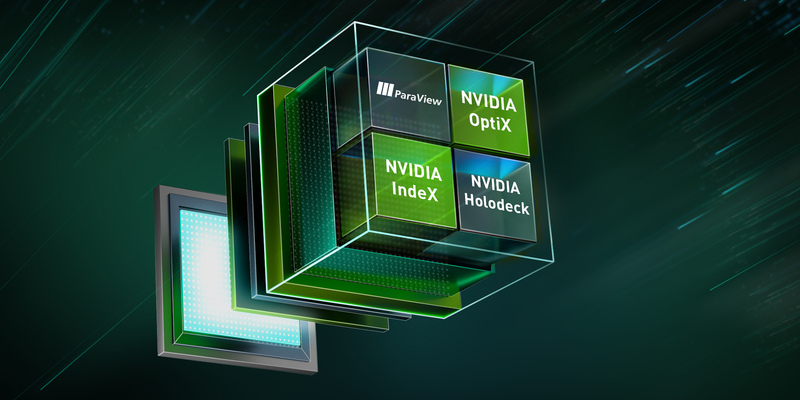 NVIDIA is currently working with Kitware towards an official release of the OptiX backend as part of ParaView. Please stay tuned for more information and thank you very much for your patience. NVIDIA GPU Cloud (NGC) offers HPC visualization containers that eliminate the need for cumbersome installations. Learn more. do we have a release date for optix? We are working on it now. It should appear in master in a few days and then in ParaView 5.7. The user facing interface will be the same as OSPRay. Great! Looking forward try it.